Why kill when you clean? This spray cleans the heck out of dirt without using harsh chemicals. Super effective non-toxic formula made from corn & coconut oil. This naturally derived heaven-scented formula is safe on most surfaces in your home. Suitable to use on tile marble sealed wood metal and most importantly you. 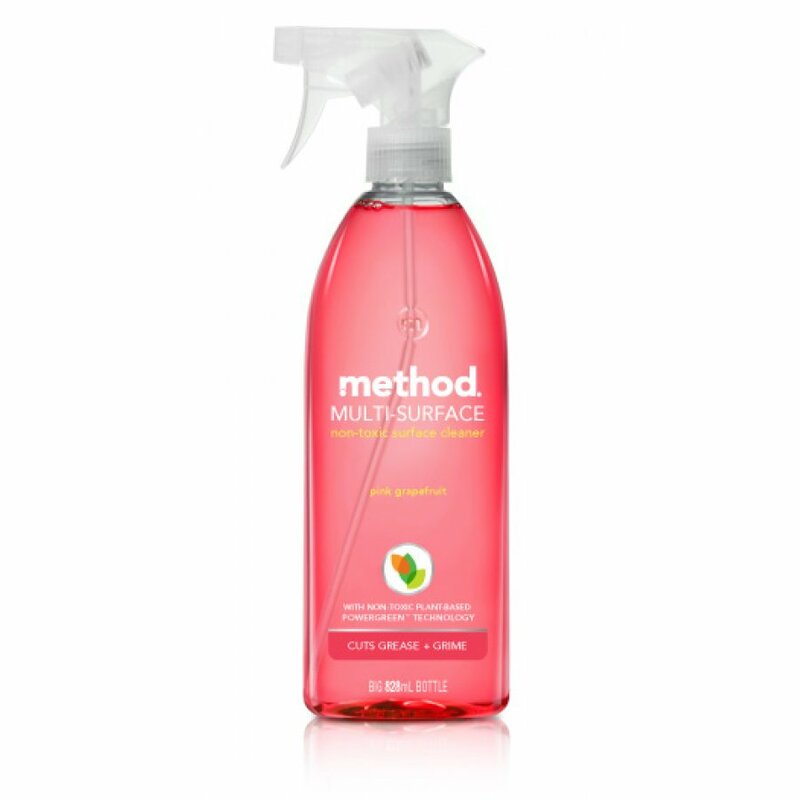 It is not necessary to rinse a surface after using method's products since the formulas are biodegradable non-toxic non-hazardous and safe. purified water, sodium carbonate, potassium hydroxide, sodium gluconate, decyl polyglucoside, alcohol ethoxylate, fragrance oil blend, colour. 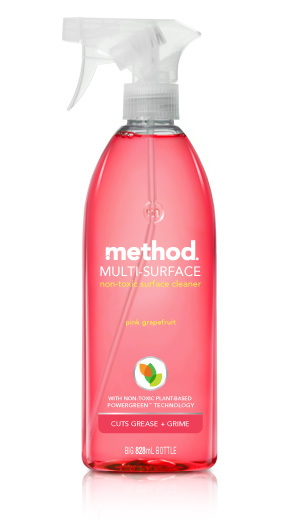 There are currently no questions to display about Method Multi Surface Spray - Pink Grapefruit - 828ml.